Our sincere thanks go out to all of the runners (and walkers!) who met the challenge of the trail and supported land conservation in southern Colorado. Protecting land, water and wildlife is worth running for! Thank you to Southern Colorado Runners who provide awesome timing services for our race. Follow the links below to view the race results. 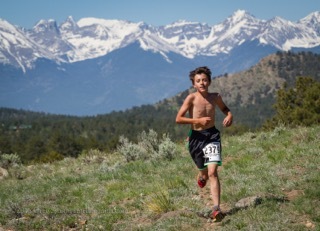 "I've participated in the Hardscrabble Trail Run for the past two years and have really enjoyed everything about it. The course is really scenic, the race is well organized and the proceeds from this event benefit a great cause. After the race there's food, music and beer, which makes for a really fun day overall."